When to Book your Celebration Cake? We recommend to book your cake sooner than later. 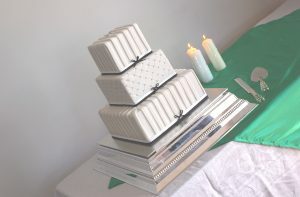 Your cake design can be organised via emails and calls without an appointment if you do not have availability to meet. Cake consultations and cake samples are $40 and the payment will deducted from the balance payment of your cake order. We recommend you book your wedding cake sooner than later. The longer notice we have the less chance we will be already booked out. The maximum cake orders we take on a week at busy times are 3 wedding cakes. Your cake consultation take place at our cake studio in Daisy Hill. You will be able to see where we bake all of our sweetness. You will see a large range of display cakes and see what is possible. Your cake design will be uniquely designed for your wedding. Jackie will sketch out what your design will look like. Bring with you your designs that you like, bridal invites, colour samples of your wedding colours. Your consult will take 30-45 minutes and Jackie will help make this an easy process. After your consult you will then receive your wedding cake quote. I recommend where possible to serve your wedding cake for dessert instead of having dessert included in your bridal package, when possible. Your wedding cake will then be served as a highlight of your wedding celebrations. You may also consider a small coffee serve, to be served with refreshments when dessert is already included in your wedding venues package. Chocolate mud cake, Chocolate caramel mud cake, Jaffa orange chocolate mud cake. 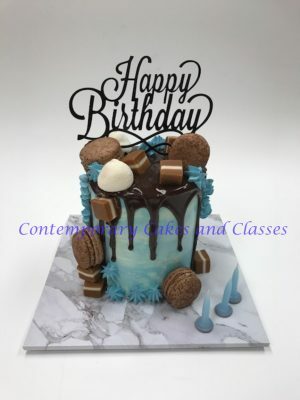 White chocolate mud cake, white chocolate caramel mud cake, chocolate and white marble cake. Orange and poppy seed cake, Lemon and poppy seed cake. 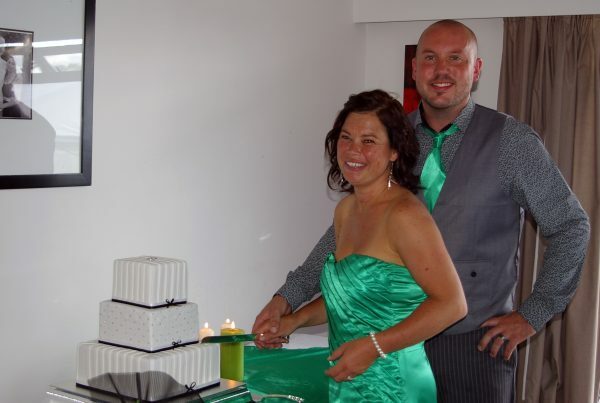 We always deliver your wedding cake and set up and remove any stress from yourselves delivering. 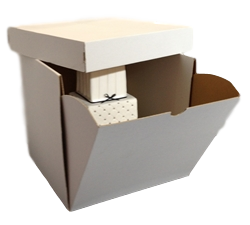 Delivery and set up is an additional and depending on the distance will depend on the price. We require a 50% deposit and the balance to be paid 2 weeks before your wedding/event.